Above & Beyond - Tri-State. Vinyl LP, CD. Anjuna Music Store. 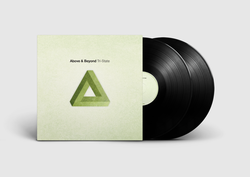 'Tri-State' is the debut artist album from Above & Beyond, one of the UK's outstanding dance music talents. Described by Pete Tong as the "UK's new dance superstars", Above & Beyond were recently shortlisted alongside Chemical Brothers, Basement Jaxx & Scissor Sisters in the category of Best Dance Group at the Miami Winter Music Awards. 'Tri-State' showcases Above & Beyond's unique songwriting & production talents. It features 12 original songs written or co-written by the guys themselves. Guest vocalists include Zoe Johnston (Faithless, Bent), Ashley Tomberlin (Luminary), & Richard Bedford, who sings on the lead single 'Alone Tonight'. In contrast to many dance artists, Above & Beyond have a reputation for writing real songs with meaning. Above & Beyond's music appeals to clubbers & armchair dance music fans alike, and in terms of its potential should be thought of in the same light as Underworld or BT.